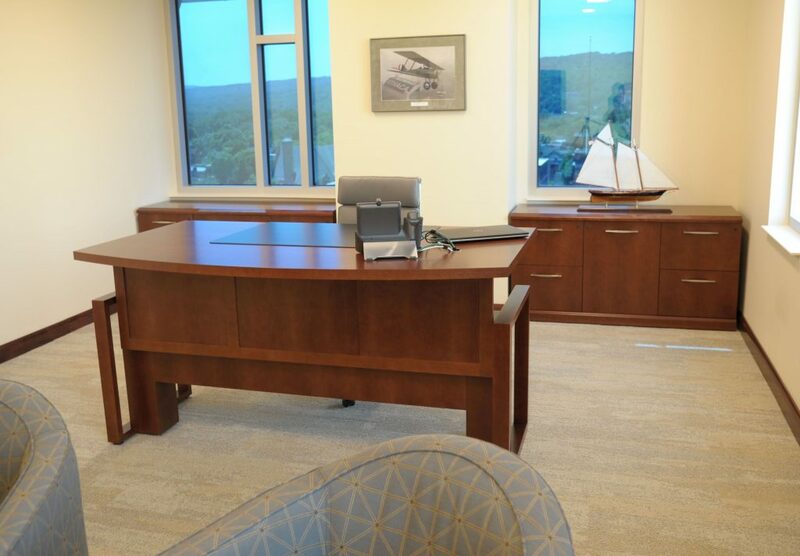 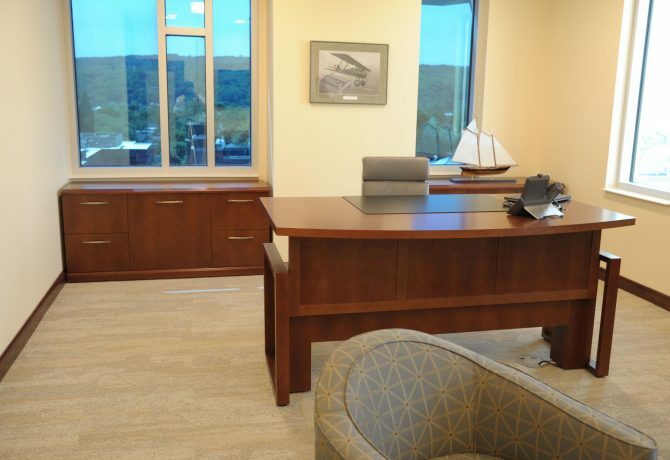 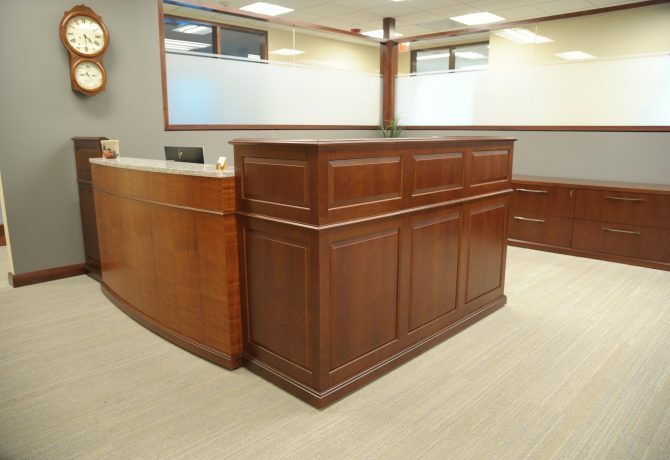 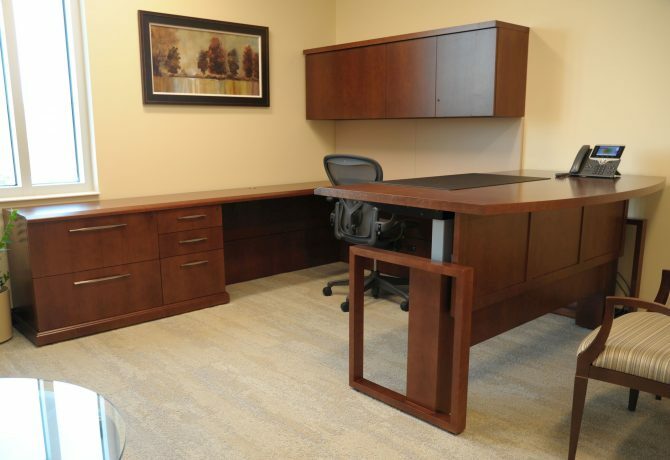 For the new offices of an institution featuring commanding views out over the Cayuga valley, CCN provided a bespoke boardroom table as well as private offices and executive admin stations. 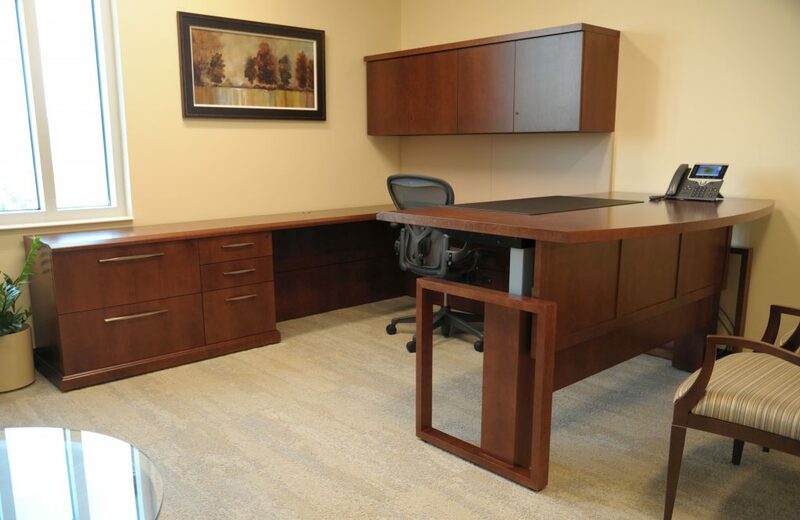 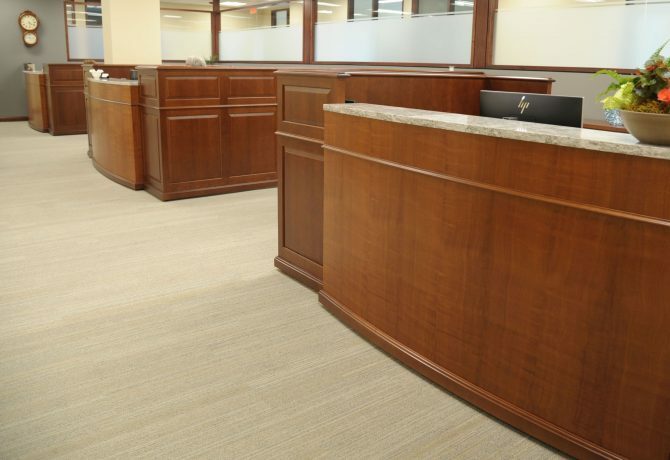 When the original source was unable to supply the sit-to-stand executive desks that had been specified, CCN stepped up to the plate and provided comparable units as well as corresponding credenzas and storage components. 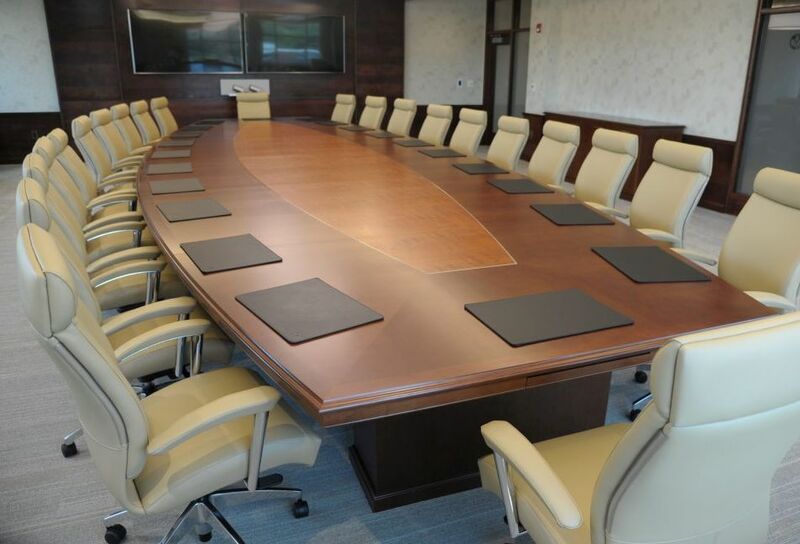 The boardroom table features a Barrington edge with apron to permit integration of power/data drawers. 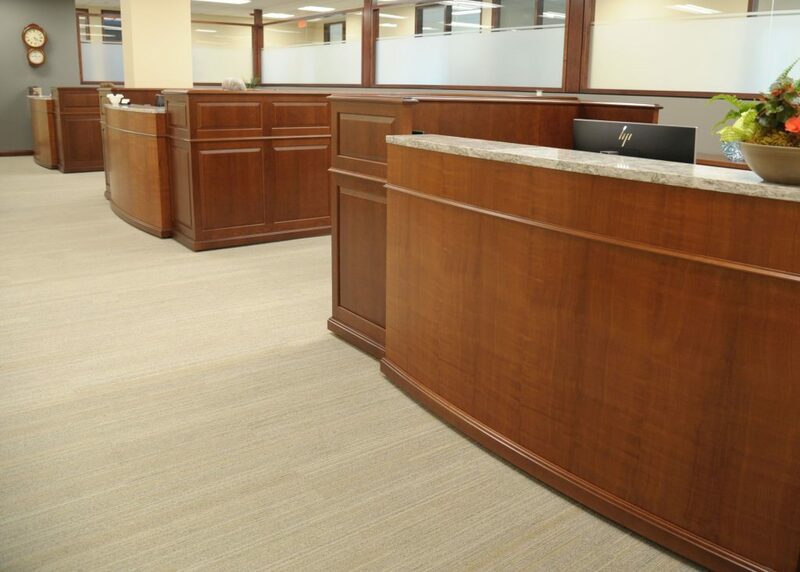 A brushed stainless inlay separates the cherry field from the central sketch pattern makore inlay. Admin stations have solid cherry raised panels in combination with waterfall makore bow fronts and quartz transaction surfaces.